When an adult has a heart transplant, they get cath's done a lot. But they are not without risk and one of the main problems we can encounter is the veins used to access the heart get full of scar tissue and close up. Because of this, babies and children who have heart transplants don't get caths very often. 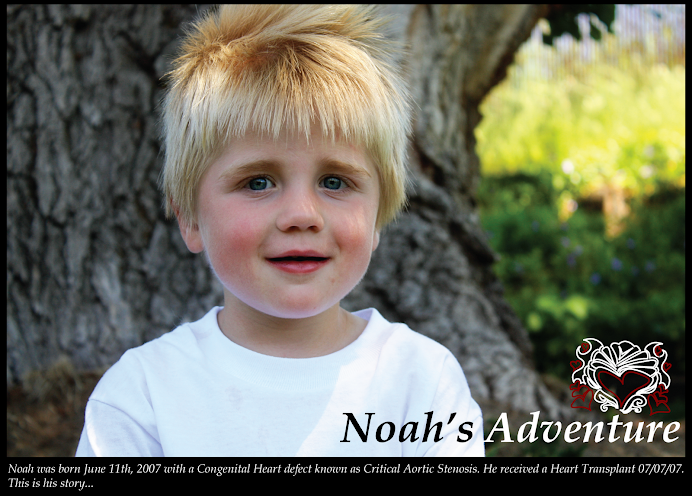 The only time Noah will get one is if they suspect rejection from his Echo (which he had once after transplant... this was when we discovered his insanely high blood pressure) and for routine care. His routine caths are at the one year mark and then every 2 years. Well, this July will be one year so we are going back to Denver. I didn't purposefully schedule his cath for the 23rd. I called Reggie (the cath lab scheduler) and asked him to reserve us a time so I could get plane tickets and he looked at the calendar, looked to see who was available (We get Dr. Pietra again YAY!!! ), and said how about the 23rd? It worked so I said ok. It really wasn't until I was typing the previous post that the significance of that day hit me. My mind told me it wasn't a big deal. Noah is healthy, things are good. But my heart wasn't listening and started beating a million beats a minute. I tried not to remember all the horrible experiences I had with the cath lab before (how sick Noah got, all the bad new I received, always having to wait alone) but I just didn't have that kind of control for a while. So, while yes, I had a moment yesterday, I am so thankful to be going back HEALTHY and coming home only a few days later. I am looking forward to them giving us the all clear for the first year precautions and knowing that our clinic visits will be reduced, his med level will go down, and we won't have another cath for 2 years. When I think about it now... June 23rd, 2007 was a good day. 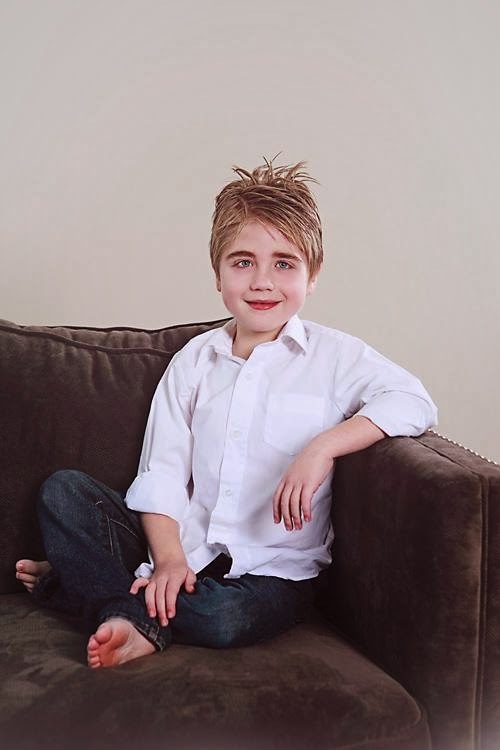 It was the day my son went where he needed to be to get a new heart in only 12 days. June 23rd, 2008 will be a good day too because it will be the day they tell me his heart is still beating strong. 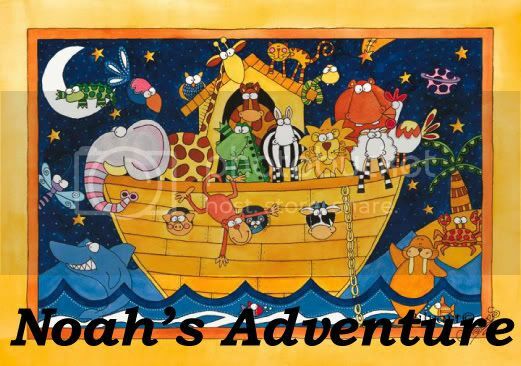 I just read your entire blog of Noah's adventure. I saw your name and blog on the Jordan class website. I just wanted to let you know that I appreciate you sharing. I think that whole experience is miraculous and I think you are an amazing mom for having lived through it. I think your little guy is amazing too. I feel blessed to have had the opportunity to put things into perspective as I needed that tonight. Are you still going June 23rd?